Do solar panels really save you money? YES! Here, homeowners and home experts are sharing their best tips and advice for installing solar panels on your roof. Plus, other fun ways to take advantage of solar energy -- including attic spaces and swimming pools. I’m a roofer and I’m here to tell you that roof colors matter. It depends on where you live. See when you’d want to choose reflective roof shingles and when you’d want to choose dark asphalt shingles for your house. And see how your energy bills will be different, based on the roof shingle colors you choose. I asked family & friends for their cost-cutting home remodeling ideas. 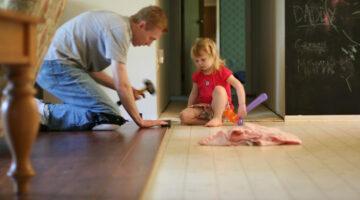 I combined those with my own tips to create this list of 7 money-saving remodeling tips. Take a virtual tour of the 2011 net-zero concept home that was on display at this year’s International Builders’ Show in Orlando. Builder Online, KB Home, and Martha Stewart Living Omnimedia combined their talents to create a cutting-edge net-zero home that is bringing concepts into the homebuilding industry. Anyone who has ever considered photovoltaic cells knows that they are an enormous investment. If you’re considering photovoltaic cells, there are three factors that solar panel manufacturers like to ignore when talking about their product. 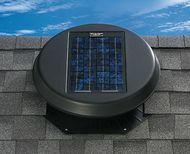 Solar powered attic vent fans can be a great way to save some money on cooling costs as well as support solar technology. Included is a great video featuring Tom Silva of This Old House that shows you how to install it yourself. What is LEED and what’s it all about? It’s a national home building green standards program administered by the U.S. Green Building Council. Looking for a green building glossary? Got it handled. Forward-thinking Mellow Mushroom in Knoxville is on top of the curve by harnessing the sun’s energy with a solar panel array on their roof. It’s the very first restaurateur to do so in Knoxville. 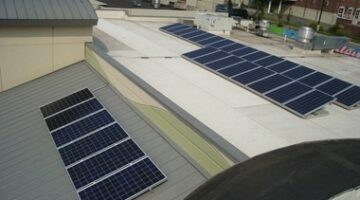 This post also provides everything a homeowner needs to know about generating your own clean energy.